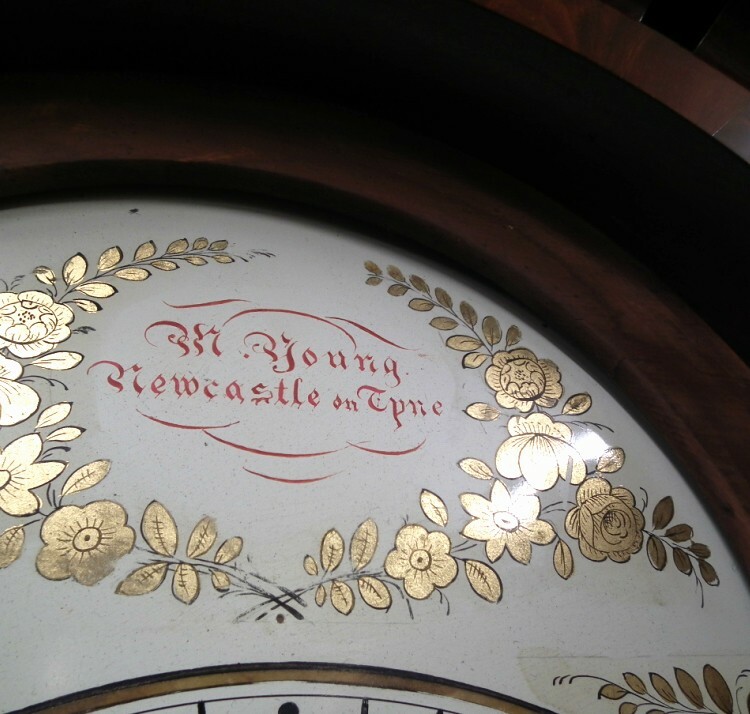 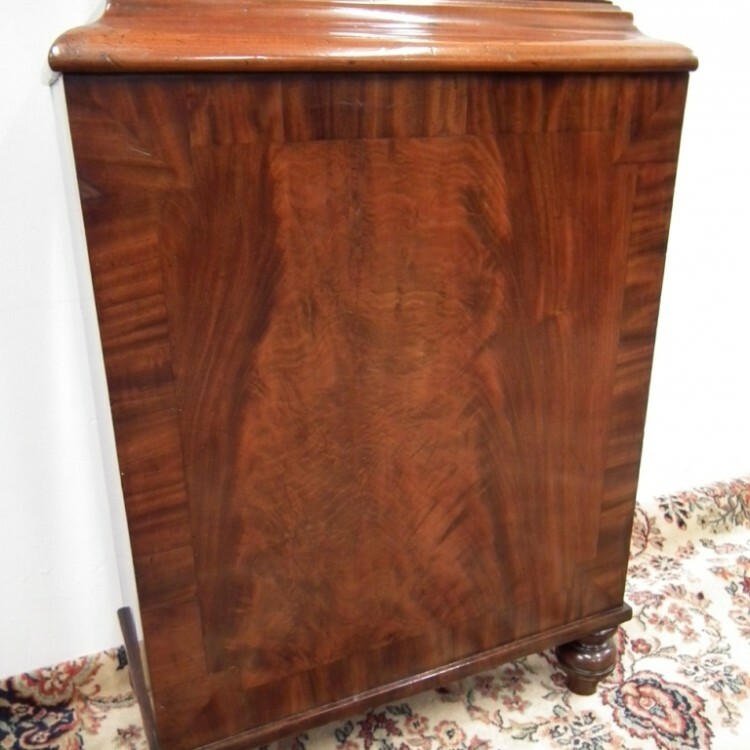 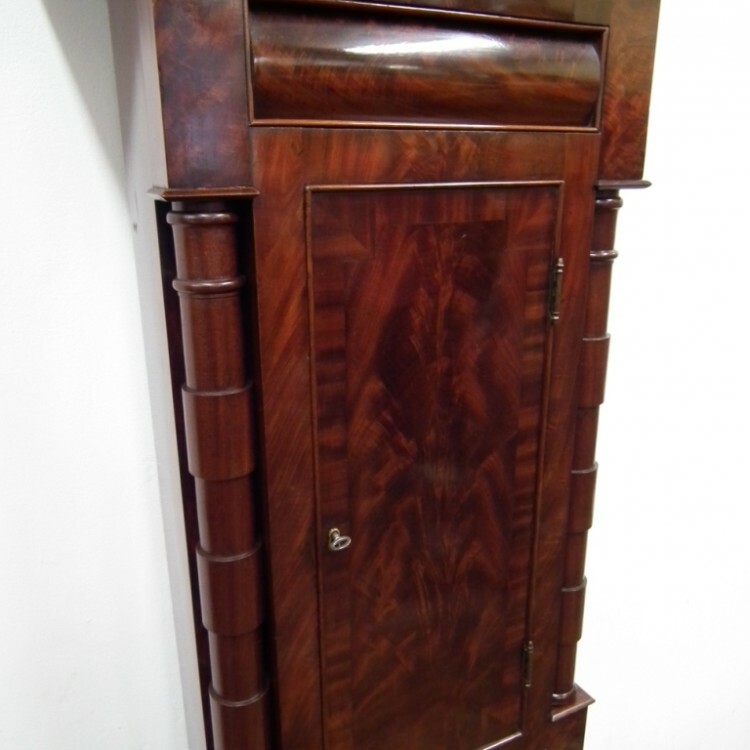 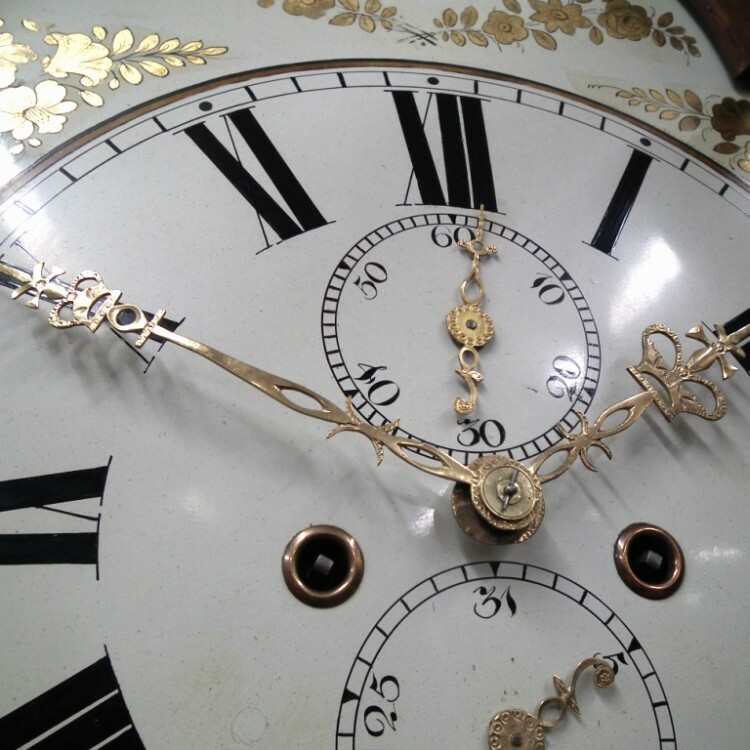 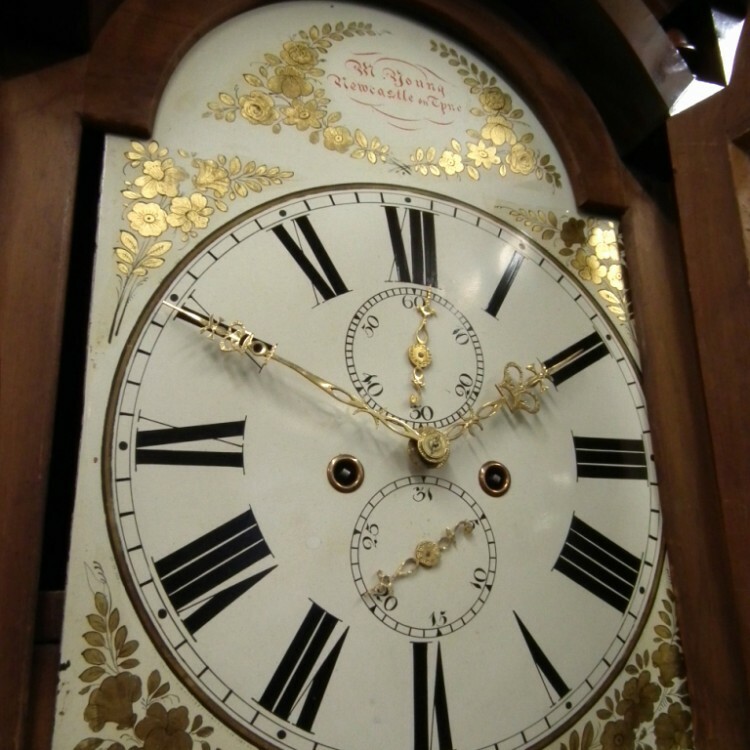 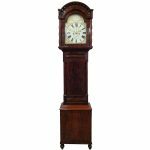 Mid Victorian mahogany grandfather clock by M.Young Newcastle Upon Tyne. 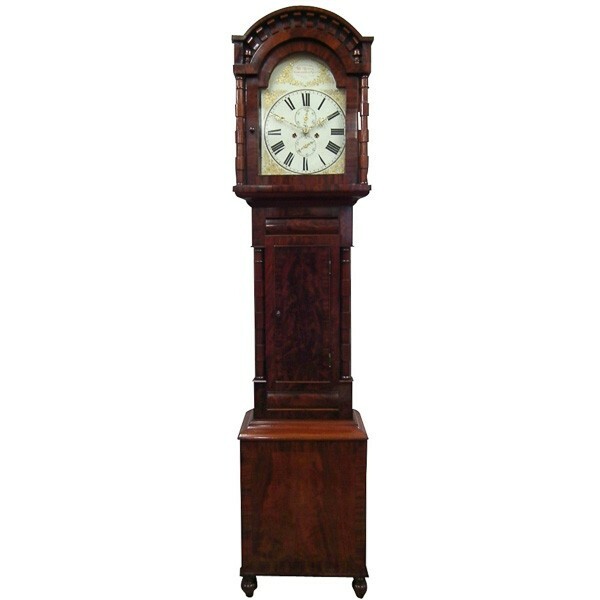 The arched top has carved castellated and acorn decorations above unusual geometric turned columns. 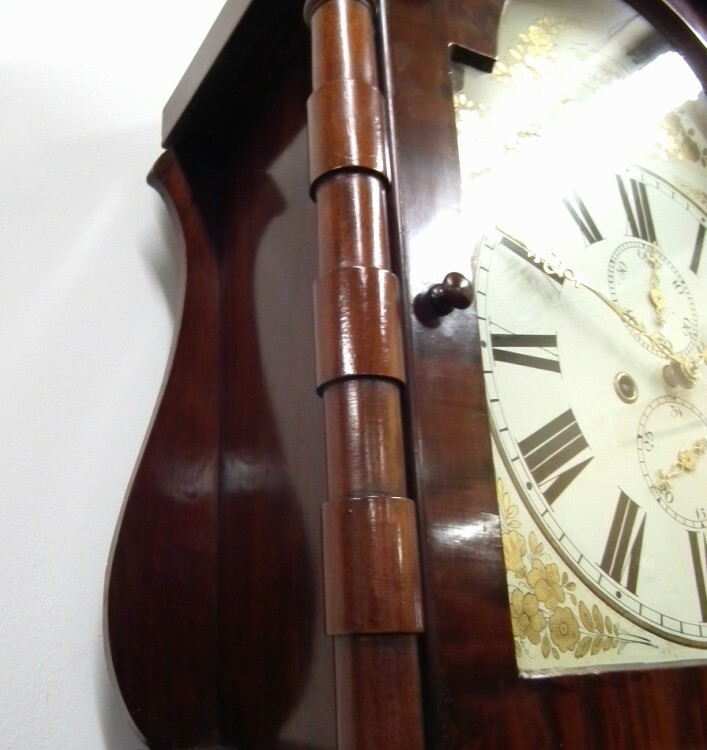 Finest quality figured mahogany.